You want to connect your workforce as efficiently as possible. You expect your radios to be affordable but flexible, so they can evolve with you. Now there’s a portable that gives you great voice communications today, and a path to crisp and clear digital voice communications when you’re ready. Versatile and powerful, MOTOTRBO™ combines the best of two-way radio functionality with the latest analogue and digital technology. The MOTOTRBO portfolio offers the right device for the right user, from voice-only portables to feature-rich voice and data radios. The rugged MOTOTRBO DP1400 is available as an analogue/digital radio that offers all the benefits of the latest technology – from superior audio to greater coverage to longer battery life. This affordable portable is compatible with advanced MOTOTRBO features you’ll find are business-essential, for example a transmission can be interrupted to prioritise critical communications. You can also choose the analogue-only DP1400 radio and unlock the capabilities of digital when the time is right: all you will need is a simple software upgrade. And whichever model you choose, the DP1400 will work seamlessly with the radios you have today. Now you can improve the efficiency of your operation with easy-to-use voice communication that’s right for you. A construction worker carries his DP1400 as an essential part of his toolkit. The digital technology gives him excellent coverage across the entire site. And it has significantly better battery life too, so he knows he’ll have reliable voice communications all day long. The manufacturing team in a parts factory relies on DP1400 portables to coordinate operations. The radio’s digital noise-cancelling software filters out the worst of the background noise, allowing them to hear clearly over loud machinery. Factory capacity is expanding, so they’re running MOTOTRBO Dual Capacity Direct Mode, which can fit twice as many calls into the same spectrum. A security guard uses his DP1400 to alert the control room to some suspicious activity. The radio’s intuitive design is easy to use in the dark, and even when he speaks softly, he knows that the digital AGC (Automatic Gain Control) will automatically boost the volume so he’s heard clearly back in the office. And if it comes to the worst, he can use one of the programmable side buttons to call for help – with one touch. We’ve designed the DP1400 to be as efficient to operate as it is cost-effective to buy. That’s why we’ve integrated the powerful fleet management capabilities of Motorola’s Radio Management solution into every radio. 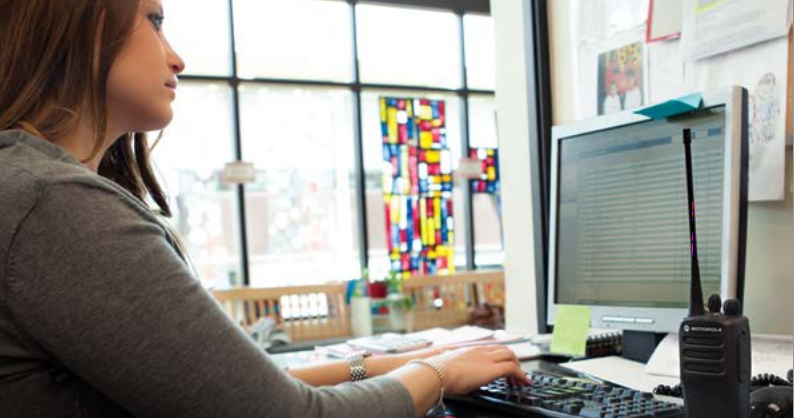 Gain even greater efficiency when you migrate to digital. Your radio will operate up to 40% longer than analogue on the same battery – and you get twice the capacity from the same 12.5 kHz channel, using our Dual Capacity Direct Mode feature. Make sure your new DP1400 radios are ready when you are. We can bring together the right experts and processes to help you integrate DP1400 radios into your business, quickly and cost-effectively. This includes Coverage Mapping, Site Integration and Device Programming. The DP1400 is made to last. It is backed by a two-year standard warranty and a minimum one-year warranty for Motorola-branded accessories. 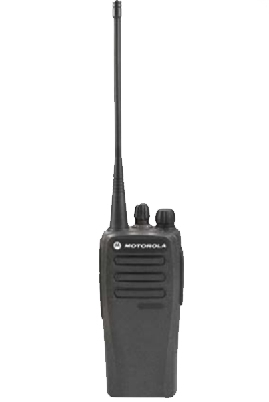 Moreover, the design has been proven tough in Motorola’s unique and grueling Accelerated Life Test program, in which the radio must survive a simulated 5 years of hard service before it is accepted. In addition, optional Service from the Start provides multi-year peace of mind with fast repair turnaround times, expert telephone technical support and access to the latest software releases 2 ; all backed by Motorola’s globally integrated services infrastructure, highly qualified support technicians and certified repair facilities. Specifications subject to change without notice. All specifications shown are typical unless otherwise stated. Features only available in Digital mode. Software release covers patches and maintenance releases of the current version to the operating system i.e. that shipped with the terminal. Actual battery runtime observed may vary. Radio only - Li-Ion battery -10ºC.